Did you know that I followed a completely gluten-free diet for about 3 years in my early 20's?! I've tried and tested a whole bunch of different gluten-free flours, but this one is by far my absolute favourite! ​The Robin Hood brand has been around for decades and is one of the top brands for flour here in Canada, and just a few years ago they released a gluten-free alternative. It's by far my favourite in terms of texture, taste, and ease of use. The Robin Hood Gluten-Free flour is a direct substitution for regular flour. Absolutely nothing changes in my recipes, I just swap the all-purpose flour for the gluten-free version! It works perfectly in any recipe that calls for flour! You can buy this flour in most grocery stores! It's available at Safeway, Save-on-Foods, Walmart, Whole Foods, Loblaws, and directly from Amazon.ca! Unfortunately, due to varying food laws between Canada and the US, this product is only available in Canada. So next-time you travel up North, make sure to stock up! And if you have found this product somewhere in the States, please let me know!! Vegan substitutions can be tricky, but I've found a way that works best for me in terms of taste and texture! Again, I always follow my usual recipe for cookies, but with a couple substitutions! I usually buy mine online through Amazon.ca or Amazon.com as this particular product can be hard to find in-store! I use this egg replacer in my cookie recipe, and sometimes in my vegan royal icing! ​I also do a direct substitution of vegan butter in place of my regular butter for my cookie recipes. Earth Balance has superb vegan "buttery sticks". 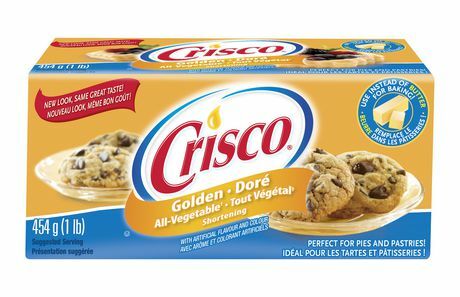 Earth Balance can be found in most grocery stores and super markets, but if you're having trouble finding it, you can also use Crisco Golden Vegetable shortening. I've had really good experiences with both products! This is a tough one! I've tried using the Aquafaba water from chickpeas, and I just don't like it. It hasn't seemed to work out properly for me, and I don't particularly like chickpeas either, so the whole can ends up being a bit of a waste for me. I usually use a milk alternative (such as almond milk) as well as Bob's Red Mill Egg Replacer in my vegan royal icing - it helps to thicken the icing and also seems to help the icing dry in a reasonable amount of time. One product that I have yet to use (but have heard AMAZING things about) is the Vegan Meringue powder from Meringueshop. Unfortunately for me, this product seems to only be available to US residents - I can't find any website that will ship it to Canada!